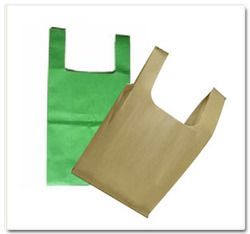 Prominent & Leading Manufacturer from Jaipur, we offer non woven u-cut bag and u-cut non woven bag. Known as a renowned organization, we are engaged in offering a wide range of Non Woven U-Cut Bag to meet the needs of our clients. This Non Woven U-Cut Bag is exclusively made with the use of latest equipment and advanced technologies. In addition to this, our entire range can be availed in wide range of attractive colors. Backed by the years of experience and expertise, we are engaged in offering a quality range of U Cut Non Woven Bag to meet the needs of our customers. 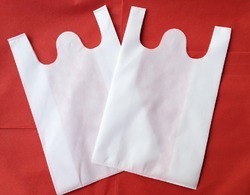 This U Cut Non Woven Bag we offer is well designed as it can be used on daily basis and can bear heavy load. In addition to this, we are offering our range at most affordable rates.